Thanks for visiting the PregnancyTimer.com site! 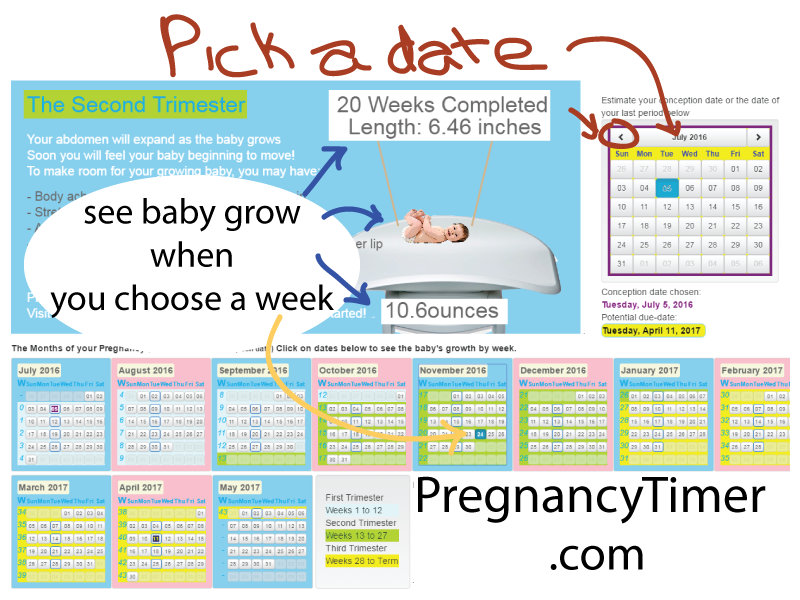 Choose the start date of your pregnancy using the larger calendar at the top right of the page. Press dates and see the Baby Grow! Average Weights of the Baby will be displayed for the week you select! Please use our pregnancy-timer tool as a starting place, not a substitute for consulting more detailed prenatal care sites or your doctor!